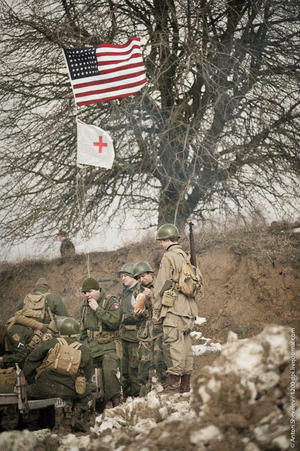 It's almost hard to believe that these photos are not actual photographs from war time. This took place on February 26th, 2012 in Kiev, Ukraine. It is a festival to celebrate those who fought bravely for the motherland. Very amazing to see such organization, to arrange an event of this size! All photos by 1200dpi@livejournal.com.